Legal terms can be extremely confusing for laypeople, yet lawyers seem to employ them at whim. Every law school student is required to learn this, so they pick it up over their years in law school, use it in their professional lives daily and eventually might not even realise they are using it. These legal terms is legalese. While some think that legalese may confuse and alienate their clients and laypeople, there are others who remain firm proponents of it. Legalese continues to be in use partly because it saves time. It can be challenging to explain a complicated legal concept fully while also keeping it brief. If you’ve ever watched the Simpsons, you may recall Bart Simpson yelling about a force majeure, which is used to describe unforeseeable circumstances that prevent someone from fulfilling a contract. There is a lot more to the concept than just that, and legal people know this and all this complexity can essentially be boiled down and condensed into two Latin words. Using legalese also in some ways allows for precision because law students and lawyers are required to know the specific and precise meaning of each of these legal terms, and all the things that go with it. Another way to look at it is that it provides consistency. Lawyers or people in law are less likely to misunderstand each other if they have a consistent understanding of a legal term they are using. Some joke that lawyers use legalese so they can charge higher fees. While this is not entirely true as mentioned above, there may be some truth to that. Just as a doctor is required to know a great deal about technical terms when they diagnose and treat patients, lawyers must also know the language of the law to do their work effectively. This is partly why clients pay lawyers fees. Clients hire lawyers, who are trained and qualified to help them navigate through their legal issues and documents. Why use antiquated Latin or clunky words for Legalese? Why not plain English? Part of the reason why Legalese can seem so unfamiliar to a layperson is so that a word or phrase can have a very specific meaning in law that is completely different when used outside of it. If common words are used, it might be confusing to know which context the word or phrase is used in. For example, we may use discovery and damages frequently in our daily lives, but these words have a more specific meaning when it comes to the law. The law has been around for a very long time, and a lot of law is based on precedents and past cases to interpret the law today. This is called Stare decisis (defined further below). This means that many of the legalese used today was used hundreds of years ago and why many legal terms sound antiquated and old. While that lends it a certain charm, it can be confusing and daunting for people who are not familiar with the language of the law. As this article discussed, legalese serves a useful function and is not necessarily bad. However, there is a time and place for legalese. For example, using legalese correctly when drafting contracts can help the document achieve clarity and precision when read by someone with legal training. But what if it is a piece of writing not intended for this audience? It is not uncommon for lawyers and other people in law to assume that laypeople know these terms and use them with this assumption. This can make the law intimidating and confusing. Lawyers should be to switch between legalese and explaining these legal terms simply for someone not in the law, and great ones know when to use which. Without any more ado, here are a few of the more common legal terms explained! 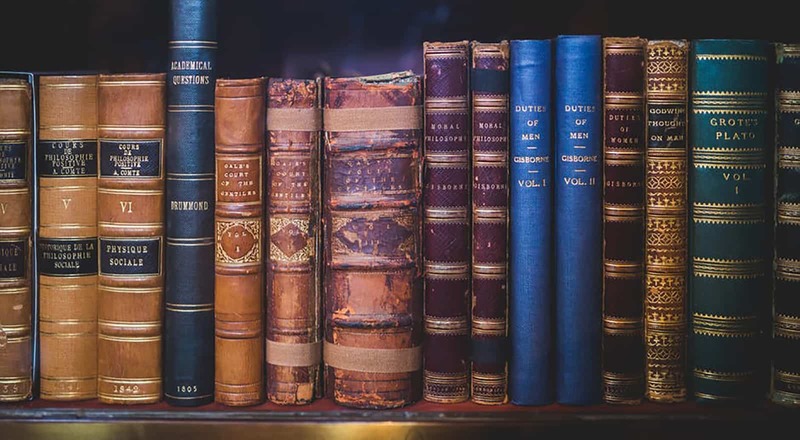 This rest of this article compiles some of the most common and confusing legal terms, and explains them in plain English! Ab initio In Latin, this translates to “from the beginning”. It is commonly used to describe the time when a contract, statute, marriage or deed first became legal. Act of God A natural catastrophe that occurs beyond human control, for which no one can be held responsible. The phrase dates back to the 13th century and was used to refer to acts that God had undertaken. Now, it is usually used in relation to the force majeure clause, to serve as an event that releases the parties from their contractual obligations. Actus reus In Latin, this translates to “guilty act”, and refers to the act or inaction that constitutes a crime. For example, the act of taking another person’s property would be the actus reus of theft. Affidavit A written statement confirmed by oath or affirmation, made before someone who is officially authorized to administer oaths. In Singapore, persons who are authorized to administer oaths are known as Commissioners for Oaths. An affidavit is usually used in a trial, where a person’s testimony is contained in the affidavit and presented as evidence to the court. Arbitration A form of dispute resolution, where both parties consent to being bound by the decision of an arbitrator or arbitral tribunal, who are often chosen by the parties. Arbitration is often used in the resolution of commercial disputes as an alternative to litigation. Bail The temporary release of an accused person who is in custody awaiting a criminal trial, usually, on condition that a third party (known as a bailor) pledge some money to the court to guarantee the accused person’s appearance in court. Bona fide In Latin, this translates to “in good faith”, which means to act honestly without any intention to deceive. It is the opposite of mala fides, which refers to bad faith. Burden of proof The duty placed on a party to prove or disprove a case. For example, in a criminal case, the burden of proof is on the prosecution to prove beyond reasonable doubt that the accused is guilty. If the prosecution does not fulfill its burden of proof, the accused will be found not guilty. Caveat emptor In Latin, this translates to “let the buyer beware”. This refers to the principle that the buyer is responsible for checking the product before he/she purchases it. Chattel Any moveable property, for example, cars, furniture, and household items. This is in contrast to immoveable property such as land or buildings. Damages A sum of money paid by one person to another, as compensation for harm that the person has caused another. The issue of damages is usually considered at the end of civil cases, after the court has decided the issue of liability – whether someone should be held responsible for harm occurring to another person. De facto In Latin, this translates to “in fact”. This is used to describe practices that exist in reality even if not strictly legally recognized. Discovery A process before trial that allows parties to gather information and documents from each other that will be pertinent to the trial. This will allow them to argue their case more effectively. Duty of care An obligation imposed on one person to take reasonable care towards another person. It is an essential component of the tort of negligence. Eminent domain The government’s power to take private property for public use. It is also known as compulsory purchase or compulsory acquisition. Often, the government will also pay a sum of money to compensate the private individual whose land is being taken. Freehold A property interest in land that continues indefinitely. This is often considered the “best” type of property interest, because it is not limited by time. Force majeure In French, this translates to “superior force”. This refers to a type of clause in a contract which releases parties from their contractual obligations where an unforeseeable and extraordinary event occurs, such that carrying out the contract is either impossible or radically different from what the parties initially intended. Habeas corpus In Latin, this translates to “you shall have the body”. It is a court order, often directed to the public authorities, to bring a detained person before the court for a hearing to determine the legality of the person’s detention. It prevents public authorities from detaining individuals without legitimate reasons. Hearsay Evidence given in court by a witness about something that he/she heard about but did not personally witness. Such evidence is not admissible in court – this means that it cannot be taken into consideration by the court as evidence. In loco parentis In Latin, this translates to “in the place of a parent”, and refers to someone who assumes parental responsibilities for a young person, but is not that person’s parent. In pari delicto In Latin, this translates to “in equal offense”. This refers to a situation where both parties in a case are equally at fault. Injunction A court order compelling someone to do or refrain from doing an act. The failure to comply with an injunction may result in civil or criminal penalties, such as fines or even imprisonment. Interim order A temporary court order made while a trial is still ongoing, which is meant to stay in force until a final order is passed at the end of the trial. For example, a court may make an interim order that a child is to stay with his/her mother rather than his/her father while divorce proceedings are ongoing. Intestate This describes a person who has passed away without having made a will. Joint tenancy A form of property ownership where the entirety of the property is simultaneously owned by all the tenants. An important consequence of joint tenancy is that if one joint tenant passes away, the deceased tenant’s ownership interest is extinguished. This means he/she cannot will away his/her ownership interest in the property. Jurisdiction The power of a court to hear and decide on a case. Jurisdiction may be determined based on, for example, the subject matter of the case (criminal or civil) or the amount of money involved in the case (e.g. in Singapore, the Small Claims Tribunal can only hear claims under $10,000. Jury A sworn body of people who decide on a factual issue submitted to them by a court. Singapore no longer has trials by jury, where the jury determines whether an accused person is guilty or not. Lacuna In Latin, this translates to “void” or “gap”. It is commonly used in the situation where there are a set of factual circumstances that the law does not provide for. This is also known as a “gap in the law”. Lasting power of attorney A legal document that allows someone over 21 years old to appoint one or more persons to make decisions and act on his/her behalf in the event that he/she loses his/her mental capacity. Leasehold A property interest in land that is limited to a specific period of time. It is often considered less valuable than a freehold interest in land. In Singapore, a Housing Development Board flat is leasehold property because it is limited to a period of 99 years. Litigation The process of bringing and arguing a case in court. This is compared to alternative means of dispute resolution, such as arbitration or mediation. Litigant-in-person A party to a court case who is not represented by a lawyer. Locus standi In Latin, this translates to “place of standing”. It refers to the right or capacity to bring an action in court. If a person does not have locus standi, the court will not even begin to consider the substance of the case. Malum in se In Latin, this translates to “wrong in itself”. It refers to something that is seen as innately or inherently wrong, regardless of the law. Maintenance Monetary payments made by one spouse to another after separation or divorce. This is usually paid on a periodical basis. Mediation A form of dispute resolution, where parties discuss their dispute with each other with the assistance of a mediator, in hopes of resolving the dispute amicably. Mens rea In Latin, this translates to “guilty mind”, and refers to a person’s mental state that makes his/her act a crime. Common mental states are intention, knowledge or foresight. For example, taking another person’s property with the knowledge that it does not belong to you will make the act a crime. Novus actus interveniens In Latin, this translates to “a new action coming between”. This is usually used when considering the cause of an event, and refers to an intervening act that breaks the chain of causation. Obiter dicta In Latin, this translates to “by the way”. It refers to parts of the legal judgment that are not essential to the final decision, and therefore do not form part of the precedent set by the case. It is the opposite of ratio decidendi. Pleadings Written statements submitted by parties to a court case, in which they state the facts and laws that support their legal case. In Singapore, the most common types of pleadings are the statement of claim, defence, reply and counterclaim. Precedent A previous case which has similar legal questions and facts as the present case, which will help in determining the outcome of the present case. Certain types of precedents are binding, which means that not only does the precedent help in deciding the case, the court must apply and follow the precedent set. Prima facie In Latin, this translates to “at first look” or “on its face”, and refers to evidence that is accepted as sufficient to prove a particular fact, unless rebutted by contrary evidence. Pro bono In Latin, this is short for pro bono publico and translates to “for the public good”. This refers to legal work which is done for free. Pro rata In Latin, this translates to “from the rate”. It refers to the proportionate adjustment to a calculation. For example, if the initial calculation is $14 for 7 days, payment for 3 days pro rata would be $6 ($2 per day x 3). Ratio decidendi In Latin, this translates to “reason for the decision”, and refers to the legal principle or rule on which the decision for a case is founded, and forms part of the precedent set by the case. It is the opposite of obiter dicta. Remand To place an accused person in custody. Res judicata In Latin, this translates to “a matter judged”. It refers to a matter that has been properly deliberated and decided by a court and therefore may not be further pursued by the parties. The purpose of this rule is to provide finality to the law. Stare decisis In Latin, this translates to “to stand by things decided”. This refers to the principle that where the cases, are similar, a precedent set by a higher court must be followed by a lower court or a court of the same rank. For example, the District Court and the High Court must follow the precedents set by the Court of Appeal. However, the Court of Appeal, being the highest court in Singapore, is not bound by its own precedents. Tenancy-in-common A form of property ownership where each tenant owns a share of the whole property. If one tenant passes away, the deceased tenant’s ownership interest is not extinguished, and can be willed away. This is in contrast to a joint tenancy situation. Leanne is a content strategist at Asia Law Network. 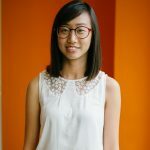 She is a third-year law student at the National University of Singapore. When she is not buried in her books, she enjoys listening to music, writing and watching cooking shows. How well do you know Singapore Laws? How many lawyers are there in Singapore?